The kids keep me up to date on current top-100 music, so I don’t go all niche-y. 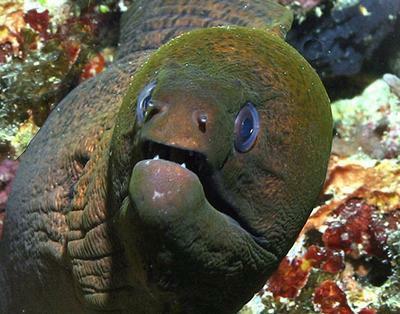 I did think it was odd that a band would write a song about being shocked by an electric eel. Talking of niche, I’m off to see the Laughing Clowns tonight at the Forum. Me three. What is an electric feel anyway? Sounds painful. Sorry to miss you Outspoken and Mindy. I might not have if I’d known to look out for you. (Well, I know what Outspoken looks like but not Mindy!) Nabakov was going but I didn’t spot him either. I DID see many many people from long ago. Lots of the people who used to go to see and/or play support to the Laughing Clowns were there. It was like an old skool reunion. When your horse munches straw, And the bales total four – That’s some more hay. When you ace your last test, Like you did all the rest – That’s some more “A”s! When your boat comes home fine, And you tie up her line – That’s a moor, eh? When you’ve had quite enough, Of this daft rhyming stuff, that’s “no more!”, eh? C’est plane por moi is one of Exploding Boy’s favourites. The pedant in me must point out that it’s actually “Ca plein pour moi” -in case anyone wants to translate it.